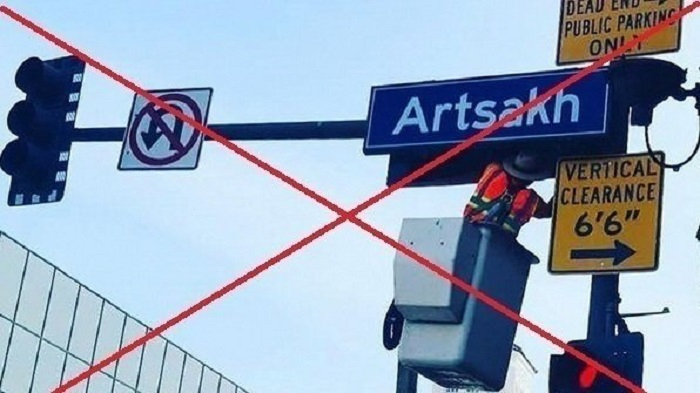 Azerbaijanis living in various countries and diaspora organizations of Azerbaijan express their objections against naming Maryland avenue of Glendale city, CA as 'Artsakh', State Committee on Work with Diaspora told AzVision.az. Diaspora organizations of Azerbaijan circulate letters of protests regarding this issue. Letters emphasize the belonging of Karabakh to Azerbaijan as its historic lands. Although different international organizations accepted resolutions on provision of Azerbaijan's territorial integrity, prevention of Armenia's occupational policy, taking such step in California is regretful. Relevant protest campaigns have been initiated against this injustice. 'All Azerbaijanis need to sign this petition participating in prevention of Armenia's occupational policy,' the State Committee noted. Please follow this LINK to sign the petition. Please do not forget to verify your signature through your e-mail.